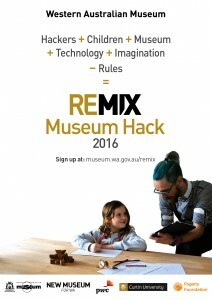 REMIX Museum Hack 2016 will be a first of its kind event in Western Australia, connecting our best technology innovators, coders and designers with primary school children. 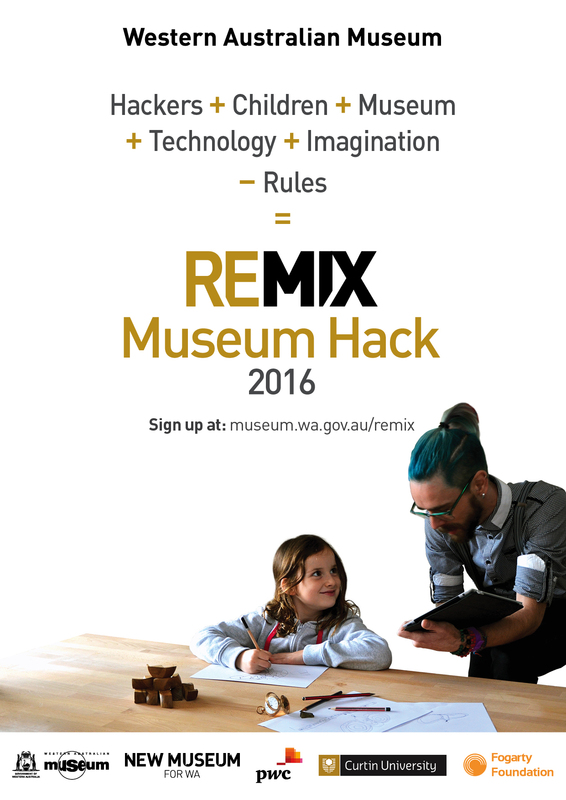 In line with STEAM (Science, Technology, Engineering, Arts and Maths) principles, hack teams will interpret children’s drawings developed in response to a Western Australian Museum object. The competition will be open to all Western Australian primary schools, with a broad cross-section of metropolitan and regional schools encouraged to apply. REMIX is open to everyone, from graphic designers to entrepreneurs, artists and coders, web and application developers, dabblers and professionals. Send us a short, informal video introducing yourself, telling us what your skills are and why you would like to be involved. 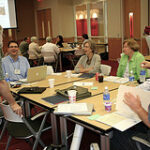 REMIX is about having fun while finding out about our heritage, regardless of your level of expertise. From university students through to specialists, everyone involved will come away from the weekend with something new, whether it be an a concept, content or contacts! Combining museum artefacts and digital technology, you and your team will have 48 hours to work on an interactive exhibit. Please note that your output must be limited to iPad use. 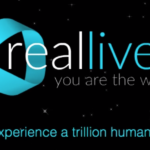 You then have one week to refine your idea and present it to the judging the winning team will take home a cash prize to help turn their project into a reality. This competition is open to all primary schools across Western Australia. Prizes will be awarded to the best hack team and class.